Chaddock Furniture Workroom offers customized furniture, upholstery, cabinets, hardware, and lighting that can be crafted in weeks. 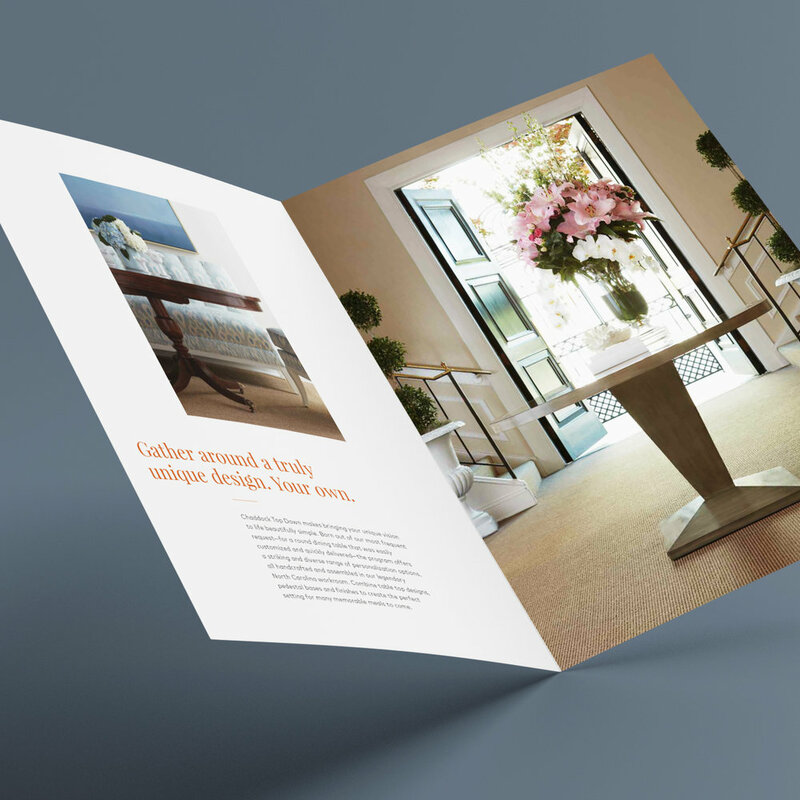 Our team developed new strategic positioning for Chaddock which was the platform for a complete brand overhaul, ranging from messaging and identity to collateral materials and High Point Market experiential support. At the heart of Chaddock’s new positioning was a focus on craft and customization. But rather than relying on finished products and room scenes to communicate those values, we introduced raw, documentary-style photography of Chaddock artisans to ground the brand in expertise and authenticity. 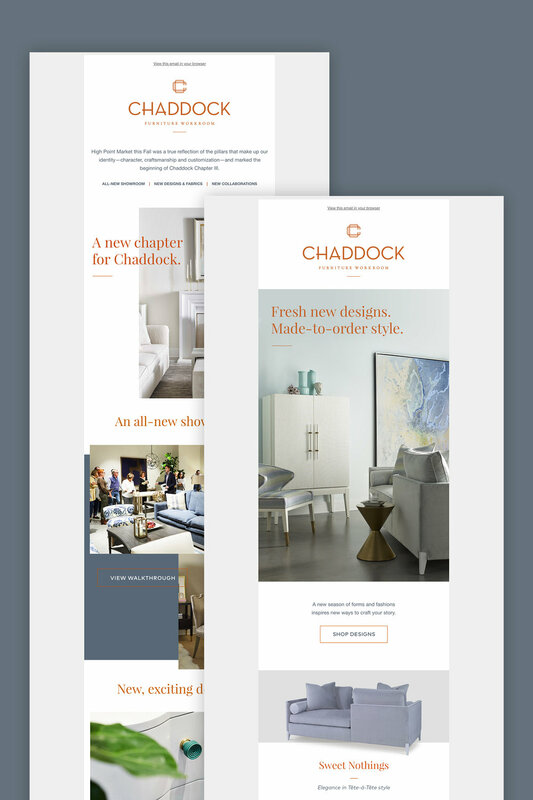 The brand refresh reached culmination at the bi-annual High Point Furniture Market, where our team provided design direction and experiential consultation for Chaddock’s all-new showroom.